Microsoft is taking Halo 2 offline in mid-April, but the company is doing its best to make up for it. 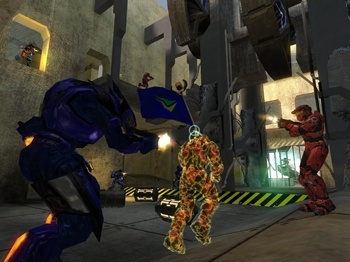 When Microsoft announced last month that online support for original Xbox games, such as Halo 2, would be ending on April 15, sad faces appeared amongst the Halo elite. Microsoft recently demonstrated that it knows how painful the loss of Halo 2 may be for certain gamers, and is giving out a few bonuses in an attempt to turn some frowns upside down. In an email sent out to "loyal" Halo 2 players, Microsoft says that while it's difficult to say goodbye to Halo 2, now is the time to focus on the present and future, meaning on Halo 3 and Halo: Reach. To do so, Microsoft will be giving these Halo 2 elite three free months of Xbox Live Gold, 400 Microsoft points, and access to the Halo: Reach beta. The Microsoft points arrive through an Xbox Live message, the Gold subscription is automatically extended, and the beta invite will arrive once the beta is actually ready. Let's face it, Microsoft didn't have to do a thing for Halo 2 players. Not being an expert on what it takes to run servers for original Xbox games, I can't say that it wouldn't have been possible to keep them going at a minor expense, though it certainly seems that way. The reason for shutting them down could be anything from that cost to just wanting to put the Xbox in the past. Still, for whatever reason, Microsoft could have just said "tough luck" and called it a day. It didn't, and instead provided three pretty nice bonuses to make up for what may have angered a decent-sized segment of the gaming population. Due to these loyalty perks, I'm sure at least a few Halo 2 players will actually upgrade to an Xbox 360, if they haven't already for some reason.